This article from McKinsey, “The CEO’s Guide to Competing through HR," makes some compelling arguments about what can happen when HR embraces a more strategic role in talent management, or as they say, “pulls up from administrative minutiae to work on the long-term health of the business." In it, they argue that the time has come for HR departments to get out of the weeds of operational functions and find their voice as true strategic partners to the business. The article highlights how HR departments are using people analytics to identify actions that will drive value. By shifting their focus to data analytics, companies (and HR departments) are finding better ways to predict attrition, identify skills gaps, plan for succession and measure employee engagement. This new focus on data driven metrics is giving HR teams the information they need to drive better decision making when it comes to talent. How well are global mobility departments positioning their services to develop high-potential talent? Are there dedicated global mobility programs to produce future leaders for the organization? How can mobility teams leverage people analytics to select better candidates for global assignment opportunities? What strategies are companies (and mobility teams) putting in place to retain the talent that they’ve invested in? What’s the strategy to harness the expertise of returned expatriates, capitalize on their newfound skills and share that knowledge throughout the organization? Knowing the investment that companies put into mobility and the value that it brings, I’d love to see more global mobility teams embracing a strategic approach when it comes to developing programs that produce top-quality talent, select the best candidates and retain those that they’ve invested in. But this shift in focus can only happen if they have the time to do it. And that means streamlining processes, outsourcing the details to quality vendors and relying on the data to drive decision making. 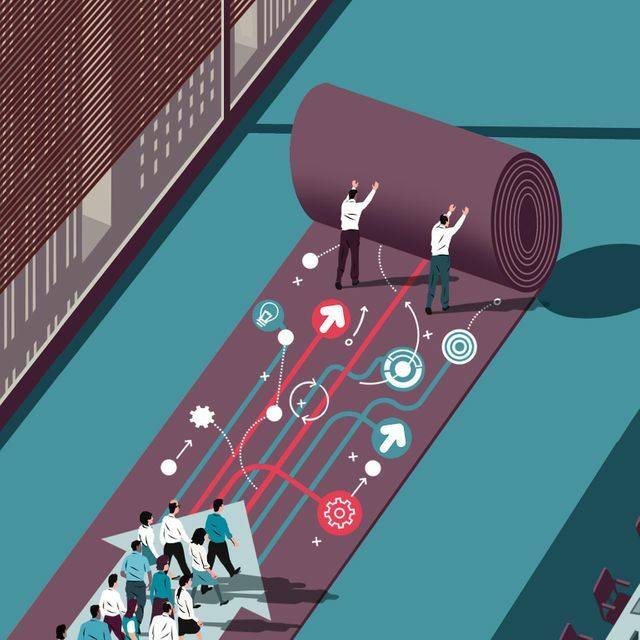 The story shows what can happen when HR steps out of its traditional silo and embraces a strategic role, explicitly using talent to drive value rather than just responding passively to the routine needs of businesses. That’s a transformation many companies have been striving to make in recent years as corporate leaders seek to put into practice the mantra that their people are their biggest asset. Some companies are making progress. The best HR departments are creating centers of excellence (COEs) in strategic areas such as organizational development, talent acquisition, and talent management. They are also providing better support to line managers via strategic HR business partners, and gaining points for pulling up from administrative minutiae to work on the long-term health of the business.